Santa Rosa, California, The Journey Begins. Sonoma Pride has partnered with Council on Aging to purchase and install five manufactured homes to replace homes destroyed in the Tubbs Fire last October. Each of these homes were in Journey’s End Mobile Home Park, which is why the name The Journey Begins was chosen for this partnership. Sonoma Pride is a partnership between Russian River Brewing Company and King Ridge Foundation. 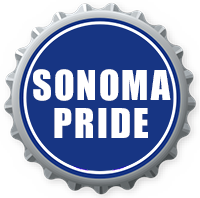 The Sonoma Pride brand was originally conceptualized by Natalie and Vinnie Cilurzo, the owners of Russian River Brewing Company, to celebrate the bounty and greatness of Sonoma County; as the fire raged the plan changed. 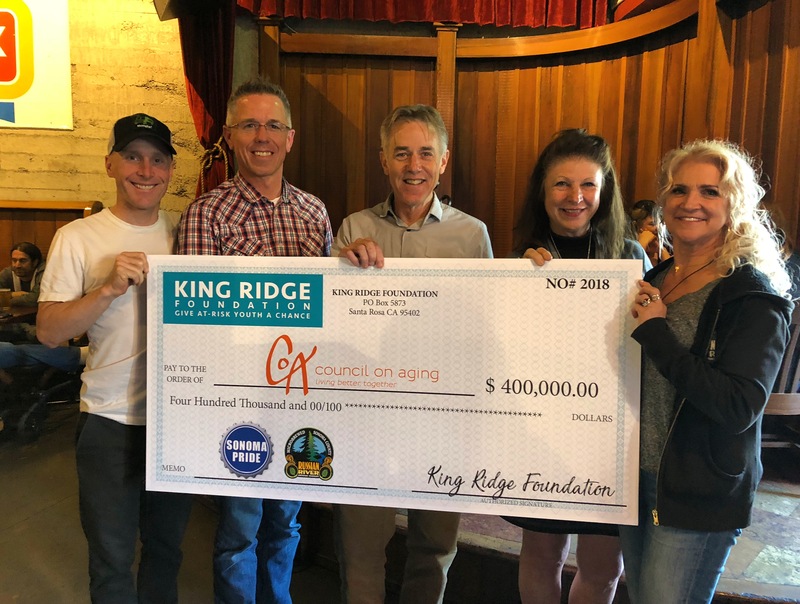 The Cilurzos contacted King Ridge Foundation and with the help of Bike Monkey, a local cycling event promotor, Sonoma Pride was launched as a campaign to provide assistance directly to those impacted by the fire. Funds were raised through a number of efforts which included partnering with over fifty breweries, including nearly every Sonoma County brewery, to brew and sell Sonoma Pride branded beer, and partnering with Standup Sonoma and the Luther Burbank Center for the Arts in the production of a comedy show. To date Sonoma Pride has raised over of 1.1 Million Dollars and has provided direct financial assistance to 668 families. In addition, Sonoma Pride with the help of NorCal Bike Sport has replaced over three hundred children’s bikes destroyed in the fire. On May 30, Sonoma Pride entered into an agreement with Council on Aging to provide $400,000 in funding for The Journey Begins project. Council on Aging will manage the project and intends to move displaced residents from Journey’s End to new homes by this fall. St Vincent de Paul’s House-In- A-Box program will be providing basic furnishing for each new home.